A social experiment in a town in Abra province aiming to educate and empower voters and track the causes of election violence and vote-buying has hit a brick wall. Local leaders, whose participation is crucial to the success of the project, have rejected it. The project called ‘Restoring Electoral Integrity in Abra in 2013: A Social Experiment,’ is supposed to be piloted in Peñarrubia in Abra, but the experiment has rubbed the town officials the wrong way. Abra has been called the “Killing Fields of the North” for its history of violence. The Philippine National Police has recorded 30 political killings in Abra over a span of eight years. In the 2010 elections, 10 out of 27 towns in Abra were on the Comelec’s watchlist. Penarrubia was not on the list. That’s precisely the reason the town was chosen for the experiment, according to Vicent Lazatin, executive director of Transparency and Accountability Network (TAN), which spearheaded the initiative in cooperation with the Commission on Elections and other civil society groups. “We think that the municipality has the potential of being a showcase of how elections can be run and how an empowered citizenry can meaningfully engage with the LGU after elections. Peñarrubia can be the shining example in Abra,” he said. The experiment is long-term and is supposed to continue till the end of the term of elected officials. It will cover voter empowerment, engagement of candidates, enforcement of laws, social networking communications strategy and mobilizing alternative incentives, and sustainability and replication. Recognizing that vote-buying is a “symptom of the deep-rooted and systemic politico-economic problems facing Abra” the project aims to empower voters and make them stakeholders in decision-making for Peñarrubia by persuading them not to sell their votes during elections. With the SB’s rejection of the project, Lazatin said they are now turning to government agencies for help in pursuing their social experiment. “We will be signing a memorandum of agreement with the DILG. Hopefully the DILG can do some persuasion for the LGUs to participate…and then hopefully launch a communications plan as well,” he said. 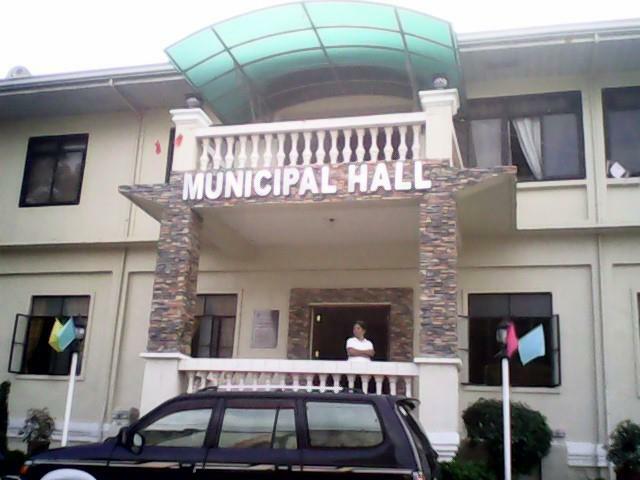 Although the resolution would technically have no impact since the project proponents are engaging the candidates and not the local government unit (LGU), Lazatin said in the case of Peñarrubia, the incumbent officials are also the candidates. “Then they, as candidates, will act according to the resolution,” Lazatin said over email. He said local officials have instructed the barangays not to send people to their empowerment sessions. Bad timing I think….This should have been started long before the election. Another promo? We should not be afraid of the research experiment…most research projects will give us information and clearer understanding of a given problem…. You are perfectly right Ms. Omli! This will not work anyway because majority voters need money from the prostituted wealth of their candidates. But if the candidate is honest and a first-timer, please don’t expect money from him anymore if you think he deserves your vote? The so-called experiment should also be done in all government and private offices through the power of high technology (presentation or power point?) among others and to all school levels with the inclusion of the subject corruption. It should be started right after the election and it will be a continual basis or regular mantra of the electorate that will be conducted at least 30 minutes before they start their regular class or office works. This should be a permanent directive from the President, nationwide, and the implementation should be bold where the scopes will be updated regularly so that it will not become boring. What this NGOs did was like a direct assault to the innocent victim in the outside although their intentions are great in the inside. Yes, the Mayor and her men were right for it sounds like playing favoritism ,favorable or not. Why don’t they start first in the capital of the province where its municipalities were encouraged to follow afterwards? Don’t give up NGOs, present and next generations will owe you a lot regardless of the outcome of your sacred and non-stop concerns with their daily life. Madam Omli and Future Generation, I beg to disagree. This project was conceived by the Transparency and Accountability Network, the CCAGG, the De La Salle University-Jesse M. Robredo Institute of Governance, the UP National College of Public Administration and Governance together with the COMELEC. It is abundantly clear that these are the best and the brightest. Vincent Lazatin is a very decent, respectable and honest person. That he was chosen to lead the Transparency and Accountability Network speaks volumes about his great character and love for country. The aim of this social experiment is to educate and empower the voters. It aims to provide the electorate with the records of performance of each candidate in order for them to pick their leaders wisely. It also aims to know the causes of election violence and vote-buying. For the Sangguniang Bayan of Penarrubia to say that the experiment would bring negative attention to the town is to totally miss the point. For Mayor Geraldine Balbuena to say that the experiment should be done in the capital town of Bangued because most of the killings happen there is to beggar the question. Mayor Balbuena said that Abra has been tagged as the “Killing Fields of the North”. The great majority of Abrenos are peace-loving. It is our sad lot as a people to be unjustly described as violent when in reality, only a few savages are committing murder. That is a blight in the collective conscience of Abrenos and it must be erased. Penarrubia was to be the showcase to prove to all and sundry that not all Abrenos are murderers. Penarrubia was supposed to be the example that Abrenos can hold honest, orderly and peaceful elections. Empowered and informed, the people of Penarrubia could elect their leaders wisely. It could have been the golden opportunity to once and for all erase the tag that Abra is the murder capital of the North. But the quiet competence and sincerity of the NGOs and the COMELEC were rebuffed by the arrogance and ignorance of a few so-called leaders who are nothing but agents of the status quo and agents of decay. Yes, they who possess the kind of small-mindedness that affects people who know so little except to kowtow to the wishes of their principals. If I am not mistaken, Mayor Balbuena was handpicked by no less than Gov. Takit Bersamin and that she is a relative of the governor’s spouse. This is the biggest reason we should not entrust our so-called leaders with the task of choosing who will lead us. We never lacked for initiatives to restore honesty and order during elections. Like this social experiment, the alternative has always been there. Why in heaven’s name don’t we support it? Good things have a very short shelf life. Between us and a successful decent future is a mountain of dishonesty and it starts with the elections. The sanctity of the covenant between so-called leaders and their constituents has been extremely tarnished over and over each time we allow ineptitude and dishonesty to take place under our noses. In crucial times such as these, we need models to show us in times of crises that men and women must rise above themselves, above their own selfish interests to serve the people. Let us raise the bar and standard for those who want to lead. The challenge weighing on us behooves us to make our voices heard and to fashion a new brand of leadership, one that is honest, competent and resolute. I can see no sane reason why Mayor Balbuena and the members of the Sangguniang Bayan of Penarrubia would throw the gauntlet, in a manner of speaking, to undermine the efforts of these noble NGOs and the COMELEC. Unless, of course, if they have something to hide. If you think you can cover up wrong-doing, you got another think comin’. Truth will come out no matter how long it takes. No matter how deep it is buriedI, it will come out. Stink has a way of wafting into public smell. Even after many years, the stench cannot be covered. If you are not part of the solution, then, you must be part of the problem. To whom much is given, much is required. Insensitivity and disregard for programs that would result in positive change are the real reasons why we have never really progressed. The future will never be bright for us if we persist in keeping our old ways. Penarrubia finds itself at the crossroads. I have a strong sense that the people of Penarrubia must alter course if they are to survive and grow. I am convinced that if they allow the current crop of leaders to keep their positions, they will be doomed to go around in circles. We search our hearts and minds for any explanation why we are in such a rut. Always, we arrive at one conclusion – the lack of a visionary, honest and selfless leadership. A new generation of enlightened leaders is a compelling necessity. If we allow vote-buying and violence to continue unabated in the coming elections, do you honestly think, the new generation of leaders will come out in 2016? Change must happen NOW and change must begin with US. “THE TIME IS ALWAYS RIGHT TO DO WHAT IS RIGHT” – Martin Luther King Jr.
they dnt like bec they know that they wl nt win if they dnt engage in vote buying. Could you also christianize or incalculate in their minds that there’s always a divine protection for those who have faith or those true serious believers regardless of what kind or name of religion they were affiliated with? Some or majority of us are still innocent with this fact as number one effective weapon against our fears or worries of any kind, hence I am pleading everybody to at least give a try for a couple of days and feel it if you still have that fears against our PAGS or vicious politicians. There’s always a time and place for everything! I agree. The time is NOW and the place is Penarrubia. Our people have waited long enough for positive change to happen. This is not even an initiative of our so-called leaders. It is the initiative of the Transparency and Accountability Network. They are doing us a favor. They are trying to help us get rid of our dark image. I guess it is really hard to teach old dogs new tricks. One can only lead the horse to the water, but one cannot force it to drink. The forces of darkness are afraid of the light. A town mayor and members of the Sangguniang Bayan telling their own people not to attend? How far more tyrannical can you get than that? They are undermining the noble efforts of the NGOs and the COMELEC. They are leading their constituents down the wrong road. Is that the kind of leadership you want? Now more than ever, we need to educate our people about their rights, one of which is the right to be informed and second, the right to choose one’s own way. One day, God will purge the province of Abra of all evil people. It is up to you to decide on whose side you will be. In such a short notice to implement or relay this initiative is just incomprehensible to me. Why in Pennarubbia instead of the Bangued Plaza so as it is more accessible for all the people? Display signs at the Plaza to attract the audience or go to each municipality in a car with microphones and make an announcement of this community event. This is even more fun to everyone? Offer incentives like maybe doorprizes! I am sure the people of Abra is dying to see “CHANGE” or “REFORM”; but it has to be relayed effectively. When I was in high school, we have a weekly convocations where every student are gathered to talk about something or announcing something important. This is another way of making it more educational for the youth especially. Want to teach us something?…do it the right way and with open hearts I am sure the people will embrace the idea! uray anya araramiden dagita agturay dita penarrubia maabak da tattan, awan nasayaat nga inaramid da no di agtakaw ken immoral, mayor, bise ken dadduma nga sanggunian agrerelasyon da. Madam Carmelita Omli, the social experiment will monitor the conduct of the elections, zeroing in on political violence and vote-buying. The start of the campaign period was March 30, 2012. That is precisely why they chose to initiate the social experiment starting the campaign period all the way to the next elections in 2016 when they will have acquired enough information about the performance of elected officials which they can feed to the electorate so they can vote wisely. Please read the report by Mikha Flores again, especially paragraphs 3 – 12 with due emphasis on paragraphs 6 – 11. You can only monitor vote-buying and electoral violence during the election period. The NGOs spearheaded by the Transparency and Accountability Network did not pluck the municipality of Penarrubia out of thin air. In very simple English, Vincent Lazatin explained why they chose Penarrubia. If the members of the Sangguniang Bayan and the Mayor of Penarrubia cannot understand simple English, there is pretty much nothing I can do. If there is nothing to hide, why are the officials of Penarrubia opposing the experiment? To those who have open minds, positive change is possible. To agents of the status quo and decay, no amount of explanation would suffice. “SA MAY GUSTO, MAY PARAAN; SA AYAW, MAY DAHILAN”. I rest my case. bay-an tayon apo ta makaammo dagita taga penarubian nga agpili t mayor dan, haan tay koma biangan idan, uray ket peaceful met dayta nga ili ti panagkunak. manang carmelita, kasla ka lang abugado nga agpanpanunot ta mayat met t panagbanbanat mo d2y internet. Ngem apay manang nga nu dadduma ket out of this world ti comments mo ta adu ti agdisagree kada masudot kanyam aglalo unay j facebook, uray da ka lang metten pagsasawanen, apo met unayen! Panunutem man manang nu apay? haan kadi nga adda sabsabali kanyam? Self assesment man manang ta adda kanu madmadlaw da kanyam, nabasak j fb nga kasj k kanu. Ken apay adu t kaapapam? Agari koma t kapya kenka manang. Apay banned ka kanu met d2y site tayon? apayya? PAPAJACKFRUIT….I am not banned here. you cannot make everybody happy. Too bad for those who doesn’t agree with me. I don’t expect everyone to agree. I am just like you…expressing how I feel. the people using my account are the one who are banned here. Fighting for what is right is all I do. Sorry for your misunderstanding. Let them feel how they feel about me…that’s their prerrogative. I don’t have to assess anything because it’s all about “clichés” (hope I spelled it right). I do not need paspasurot to what I say. Out of this world like what? Can you give me an example? At least I am brave enough posting with my legal name…. Ammo yo lng kuma nu kasanu karigat nga sikgan ti mayora mi ditoy peñarrubia apo….. Agpatpatnag da pay nga agsusugal kada maam ruby…. Hay kaasi kmi pay… Tsk tsk tsk….